A new director may be close to bringing everyone’s favorite card-throwing Cajun mutant to the big screen. Deadline is reporting that Gore Verbinski, director of the first three Pirates of the Caribbean movies, is making a deal to direct Channing Tatum in Gambit. Tatum has been attached to the film since about 2014. At one point, he was even practicing a Cajun accent to star as the X-Men favorite. However, script problems have led to multiple directors boarding, then leaving, the project in that span of time. Among them: Rise of the Planet of the Apes director Rupert Wyatt and Edge of Tomorrow director Doug Liman. Verbinski, however, is the biggest name yet. In addition to the first three, and best, Pirates movies, he directed The Ring remake and Rango. He’s a proven hit maker who just happened to have a brief stint in director jail after the disastrous The Lone Ranger. His last movie, A Cure for Wellness, was also not a hit, but it was released by Fox, who’d also be releasing Gambit. 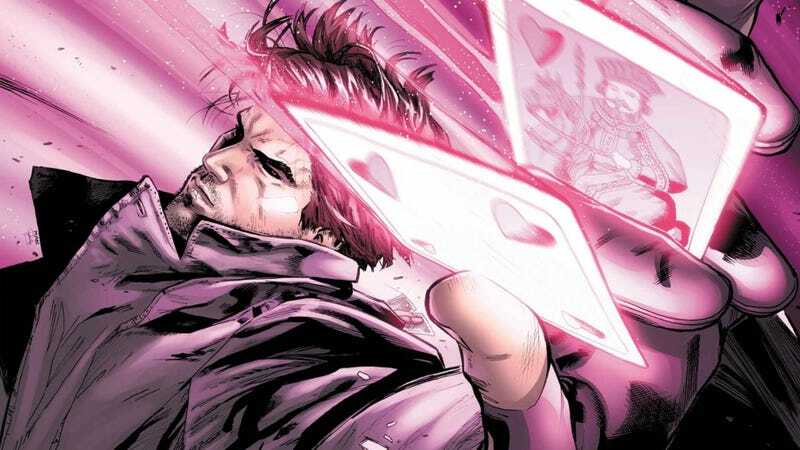 The one issue here is that we’ve seen and heard this before: Big directors signing on to make a Gambit movie. Will Verbinski be different, and actually see it through? Time will tell. But Fox would obviously love to have a Channing Tatum X-Men movie in theaters sooner rather than later. We’ve contacted Fox for comment and will update this post if and when we hear anything.